Would you consider learning the beautiful Chinese language and getting to know our extraordinary long-standing culture? Would you conceive of becoming particularly interested in interactive and multimedia work to develop your career? Do you need to correspond with Chinese partners in your daily office work? Are you planning to take a marvellous travel to China? What could be more pleasurable than being sent to Shanghai for business cooperation and making significant contribution? Will you be searching for a successful purchase in Hong Kong? What about studying in Beijing in two years….? Compose yourself and ask the specific question. On account of apparent culture difference as well as unlikeness in process of reasoning between Chinese and European Citizens, it’s pretty important for people who look expectantly for opportunities in China; and who would welcome the chance of profit and engage themselves in business as well as in cooperating work in China to start learning Chinese and be an active participant of Chinese culture cultivation and get the needful training. Just imagine being invited to your chief’s birthday dinner in China: What is a proper gift? What is strictly forbidden? Such an occasion requires of you not only suitable present but also appreciative behaviour, if you think of promotion and a salary increase. China opens a wide door for giant adventures and offers endless possibilities. Nevertheless, not every one can get the prize he dreams of. First thing first is to do some training in Chinese language and know the pith of our profound culture. It’s my endless pleasure to devote myself to teaching you Chinese and consulting you about Chinese Culture. 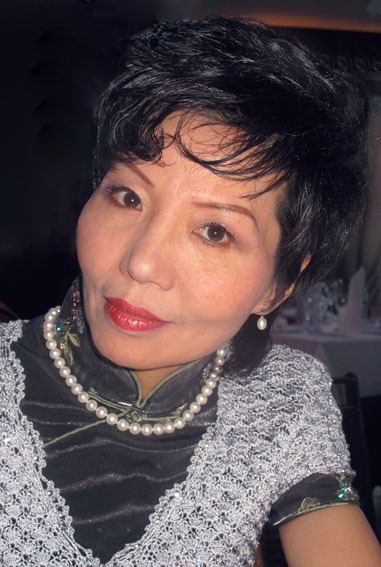 I am offering you my full assistance with mature experience for your success, either in dealing with business affairs or culture consultation, or any other personal interests for China. The key to open a highly colossal treasure of Chinese Culture and Confucianism is in your hand while you start the first step to Chinese language learning and culture consultation. My main working experience was the introduction of modern English teaching methods instead of heavy grammar practice which gave reasons of student’s declining motivation in leaning English. I used to give demonstration lessons for teachers from other schools in the city Shanghai. I also took leadership of a training group for teaching qualification. Meantime I started a campaign of speaking standard Mandarin instead of Shanghai dialect in school areas. Chinese Embassy in East Berlin as a diplomat wife I had lots of engagement and activities across different cultures in combination to my master study at TU Berlin. I was in dedication of spreading Chinese language and culture wisdom. My participation covered from scientific conferences to culture events, social meetings and industrial exhibitions. I too spent time in doing student jobs at many places in Berlin to enlarge my life experience. Founder of China-Business-Service and took continuing practice in teaching English and Chinese, translating documents from German into English and Chinese, participating business cooperation as well as coordination work of student exchange between Germany and China; Intercultural coaching and seminar. Teaching German at Shanghai Lingua Culture Exchange Part. Ltd. Basic Chinese (Mandarin) course for language schools in Berlin, each lesson 45 min. Individual Chinese course, each lesson 45 min. Basic Chinese course for groups, at least three persons, but less than six persons, each lesson 45 min. Business Chinese course, each lesson 2x 45 min. Chinese course on weekends or in the evenings, each lesson 45 min. Chinese training for school or preschool children, each lesson 40 min. English basic course, each lesson 45 min. Business English, each lesson 45 min. Introduction of necessary registration of Chinese authorities; including residential and working permission, police and community, school education, health insurance and health caring system, renting a house or a flat, bank accounts in China. Introduction of Chinese custom and cultural decorum as well as traditional Chinese regimen, Chinese lifestyle and working philosophy, Chinese way of reasoning, Chinese direct way in thinking but indirect way of expression, Chinese superstitions etc. Introduction of Chinese society activities and public life enjoyment. Business managers, office clerks and company staffs, university students, trainees on China career and private clients too. Take charge of all formalities and appointments with German authorities as well as assistance of documental translation, pick-up from air-port, hotel reservation or renting a flat and signing contraction, registration of school or kindergarden, doctor’s appointments and shopping tour assistance. Take charge of formalities and appointments with German authorities, hotel reservation or renting a flat, pick-up from air-port. Take responsibility for translation of business documents, contracts, pacts as well as business correspondence from German and English into Chinese or vice versa. Homepage translation from German and English into Chinese Take translation work of booklets, director for use, pamphlets travelling guide and business card; Game translation from German and English into Chinese. Take active part in association with Chinese cultural exchange organizations for exhibition and exchange need.